Home » Posts tagged "How to visualize Garments manufacturing key tools"
Visual management is a part of lean manufacturing; an effective and standard method to communicate with every level of a factory with necessary information, a concept is to understand everything when a person visits manufacturing floor by visual data display system also include an important message for employees for learning, doing and achieve. 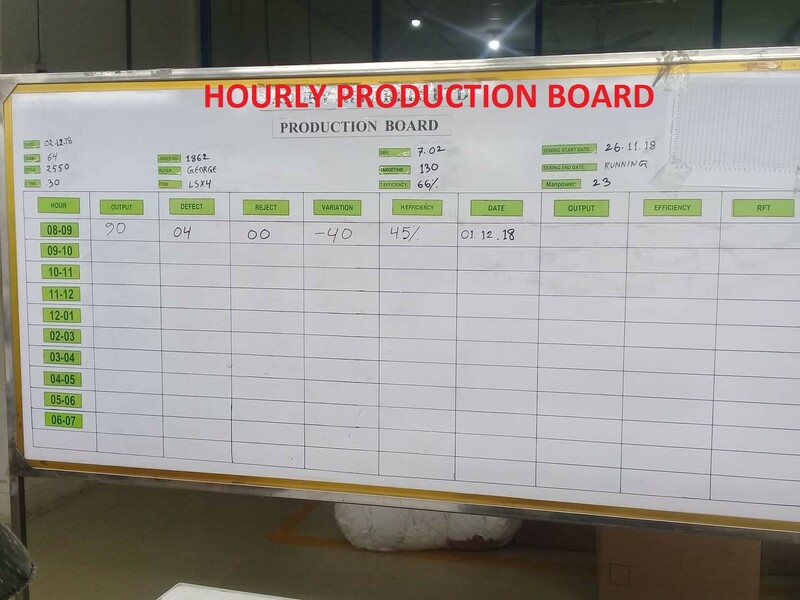 Visualization boards applied in a factory for delivering information such as production status, production trend, Quality controlling status, delivery performance, and customer report. Visual controls are means, devices, or mechanisms that were designed to manage or control our operations (processes) so as to meet the purposes: informative, identification, instructional and planning. 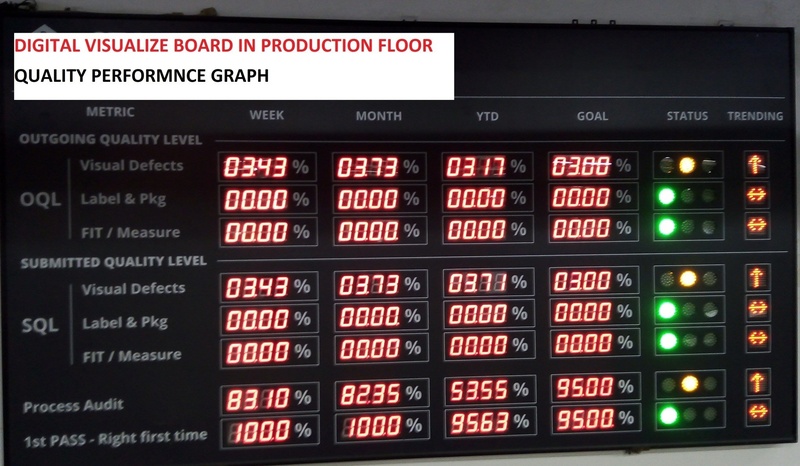 Here in this article, you will have an idea of what we can visualize, tools used, and advantages of Visual Management System in Apparel Industry.